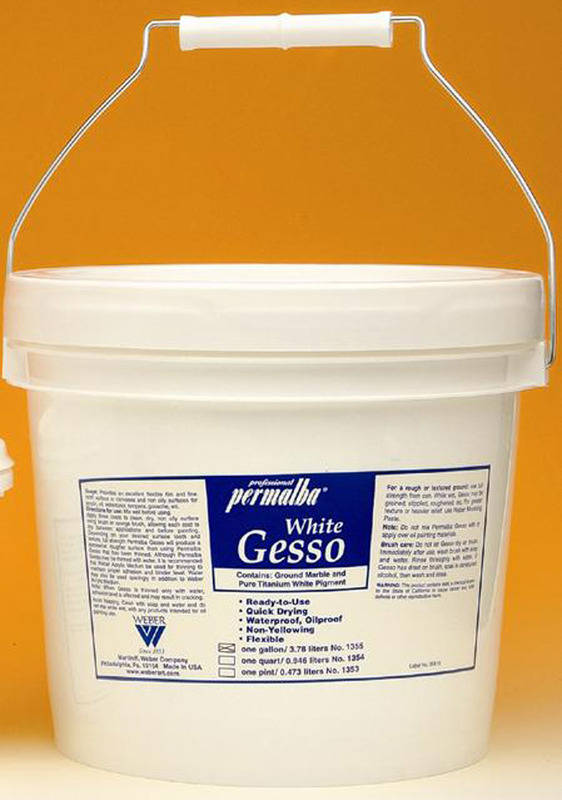 * A premium gesso for preparing canvas, wood, masonite, cardboard and most surfaces. * Gives a fine, white painting surface suitable for all techniques including oils, acrylics, alkyd or casein colors, watercolor, tempera, resin-oil, ink, pencil or mixed techniques. * Can be thinned with water. * Apply with brush, paint roller or air brush.